Most people associate me with Para-Sols, my original baby, and a paraplanning business that has exceeded every hope I could have ever had for it. Paraplanning was my background, my first love, and building a company that enabled me to do what I truly enjoyed for a living was an absolute dream. But, as all babies / businesses do, it grew up. It didn’t need me as much. Para-Sols has an incredible team, and a brilliant grad scheme that brings trainees through and takes them on the paraplanning journey. And so, without it needing 100% of my attention, I was able to look at what other issues there were in financial services that I thought I could help do something about; and along came Apricity. Still in its relative infancy compared to Para-Sols, it nonetheless has had its stabilisers removed (sorry for all the metaphors!) and I was once again able to scratch another itch I had. 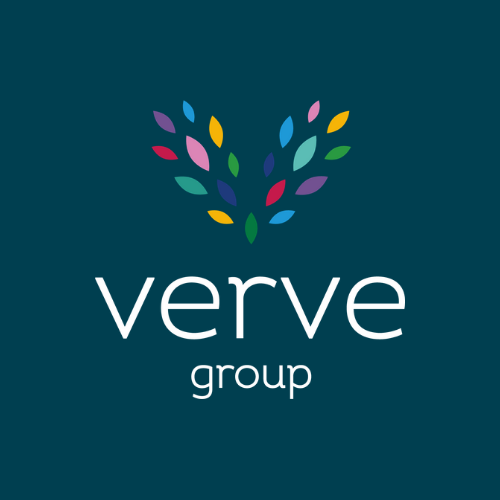 And so today sees the launch of two more entities; The Art of Finance, designed to bring more people into financial services and show them what an amazing career option it is, and, pulling all of these together is The Verve Group. To provide financial planners, of all shapes and sizes, with the best support services around and; shout about how brilliant a career in finance is, and provide opportunities for those wanting to get into it. In addition to these, I have my own personal mission – to run the type of businesses I always wanted to work in. I regularly pledge to my team that working with me, they should never have ‘the Sunday night dread’, and if they do, I’m failing. Our employee total is approaching 35, and so the environment from when there were 5 of us is very different, and sticking to this mission means constantly changing and evolving; but it is one I am completely committed to. So a lot has changed in the last 10 years (10 years!) but also a lot has stayed the same; a love of paraplanning, a desire to help promote financial services, an enthusiasm for supporting advisers and enabling them to build their businesses further, and a determination to be the best employer I can be. It’s been an absolutely thrilling 10 years, and I can’t wait to see what the next 10 hold. Thank you so much to everyone who has helped and supported and generally been lovely to us over the years. It really is a wonderful profession to be part of.